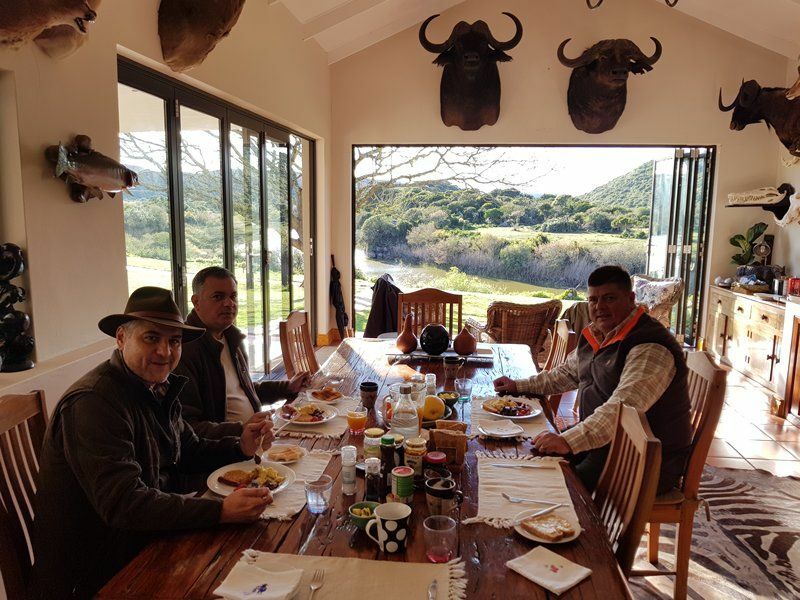 Relu, Florin and Lusu from Romania joined Eastcape & Karoo Safaris for a unforgettable safari experience during the month of September 2018. Relu won our annual competition on our website. He decided bring his friends with ..... how it should be done ! It was the first time to Africa for all the guys. Much excitement as I collected everyone at the Port Elizabeth airport and made our way to the Leopard Ride lodge outside Grahamstown in the Easterncape Cape. After and hour and a half chatter in the car we finally arrived at our lodge and checked into the rooms. Beautiful scencery overlooking the river. There was a lot of rain predicted for the next few days - but that didn't dampen the excitement ! 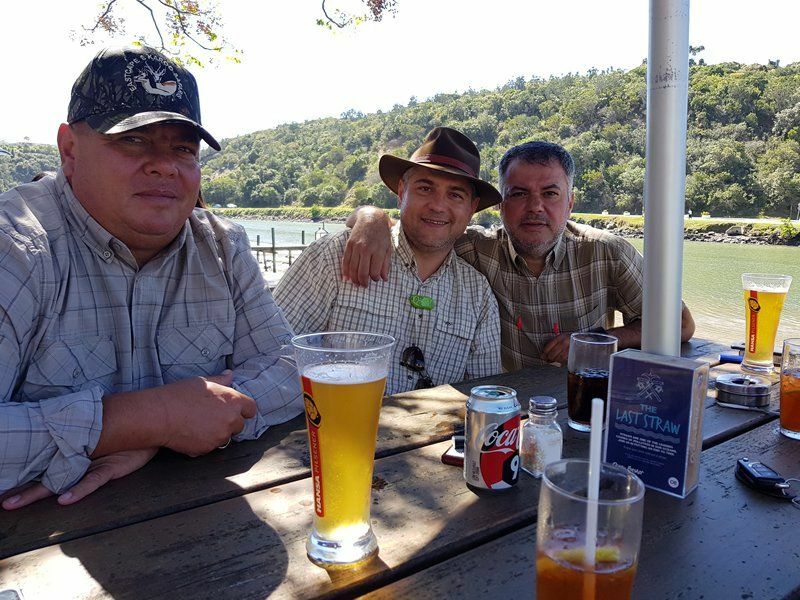 The Team - Relu, Lusu and Florin. Ready to go !!!! The first morning was very overcast and raining on and off. Some of the animals don't mind the rain. Dale headed out with Relu and Florin who wanted to hunt together and Ashley with Lusu. 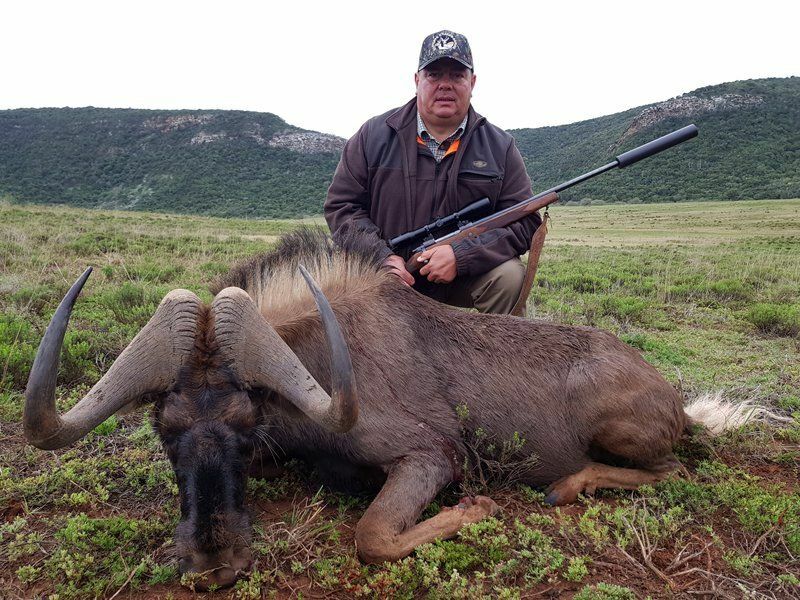 First animal down was a black wildebeest shot by Lusu. Excellent shot and the bull went down immediately. 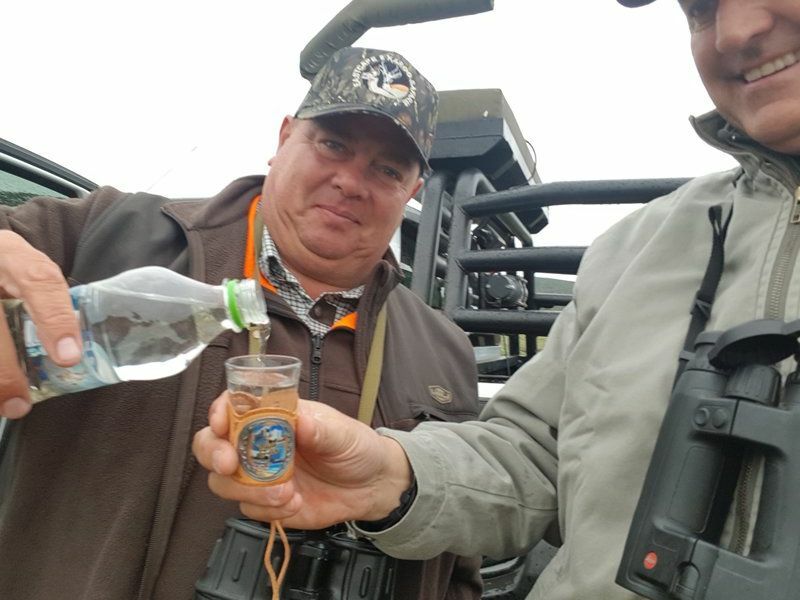 The magician got out his bottle of "Palinka" to celebrate his first animal in Africa. 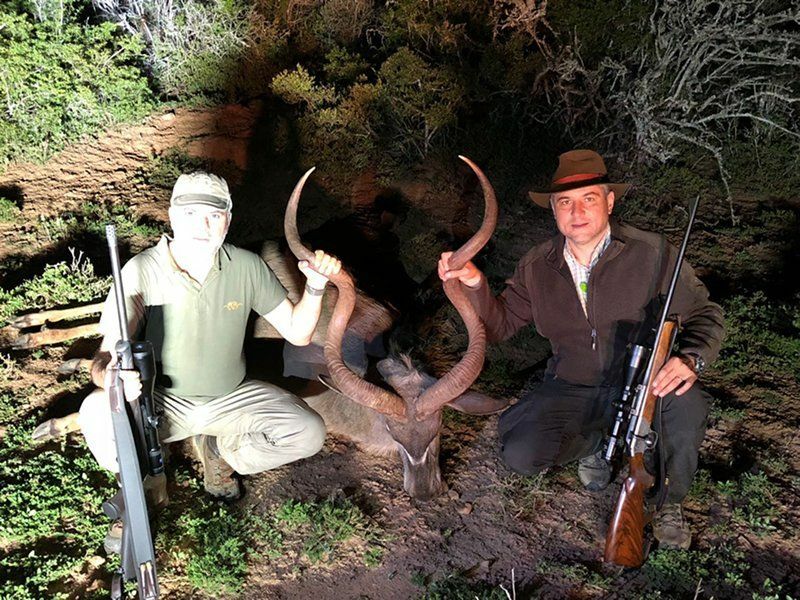 Dale, Relu and Florin were hunting blesbuck down the valley. It wasn't long before I got the pics coming through to our side ! Relu got this very nice blesbuck ram ! 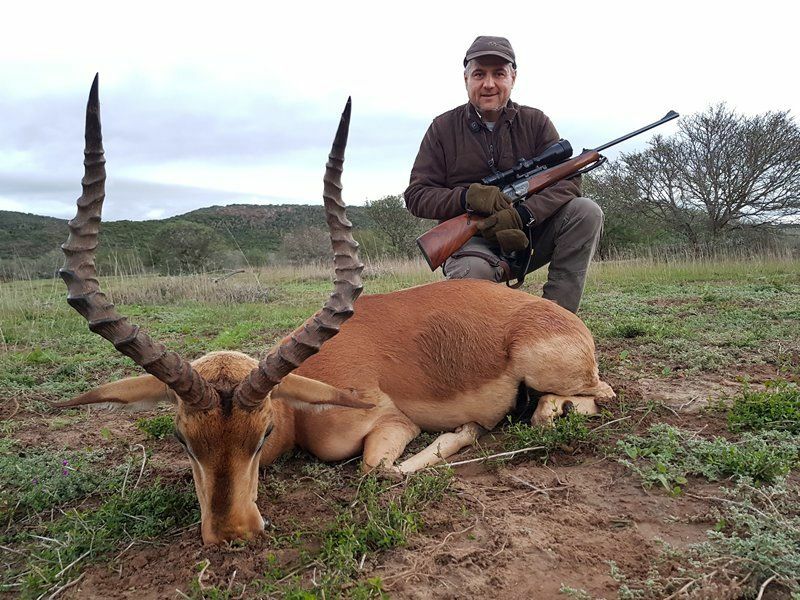 Florin got this very nice wet and muddy blesbuck on the same day - well done guys !!! Both quality rams. 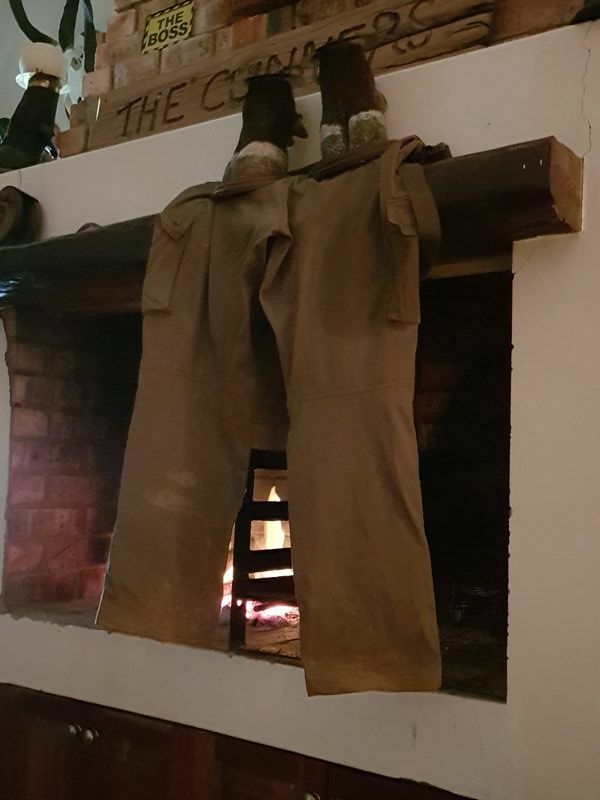 Buffalo feet holding the pants up to dry ! 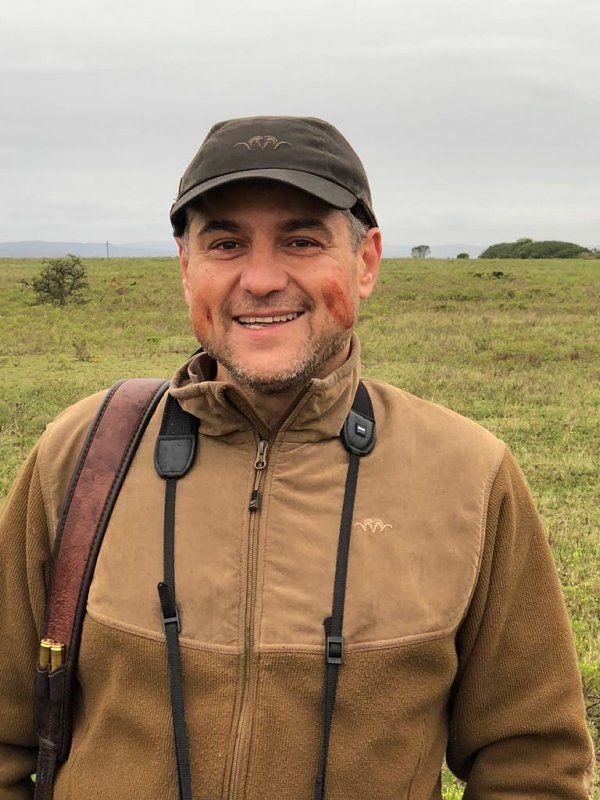 The following day we swapped areas - myself and Lusu headed down the valley after blesbuck and Dale and his team stayed at Leopard Ridge to go after black wildebeest and impala. Myself and Lusu hunted hard the whole morning doing a lot of walking. The blesbuck are not easy and just before lunch this inquisitive ram gave us a shot. Lusu made an excellent shot and he went down in his tracks. 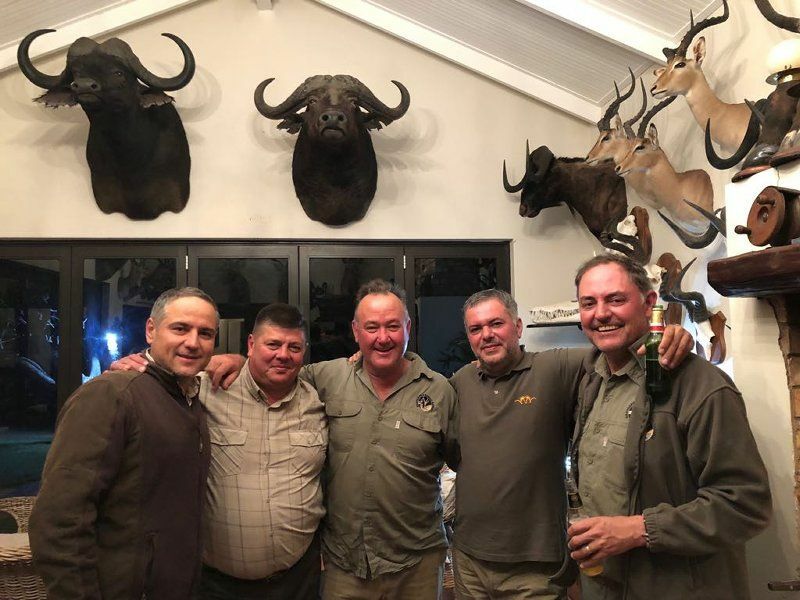 We headed back to the lodge - another fantastic day in Africa ! 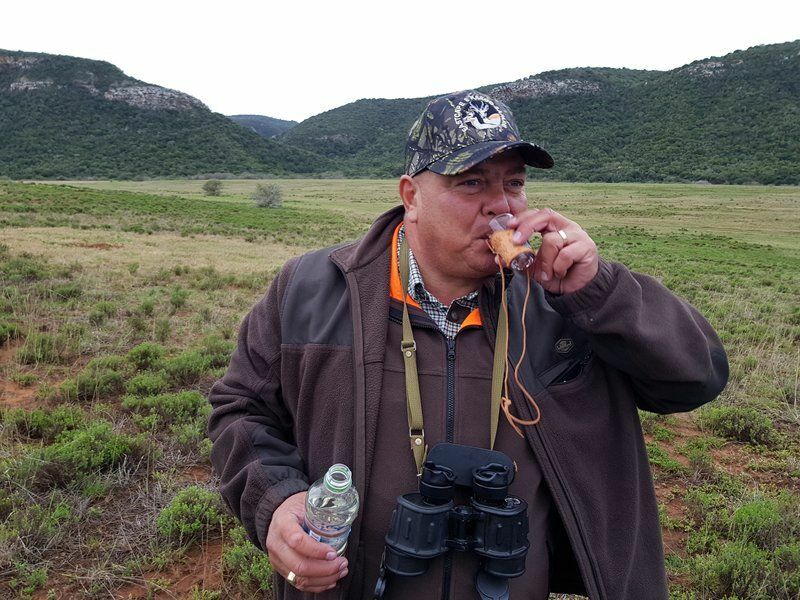 After a bit of lunch at the lodge we were out for the afternoon hunt. 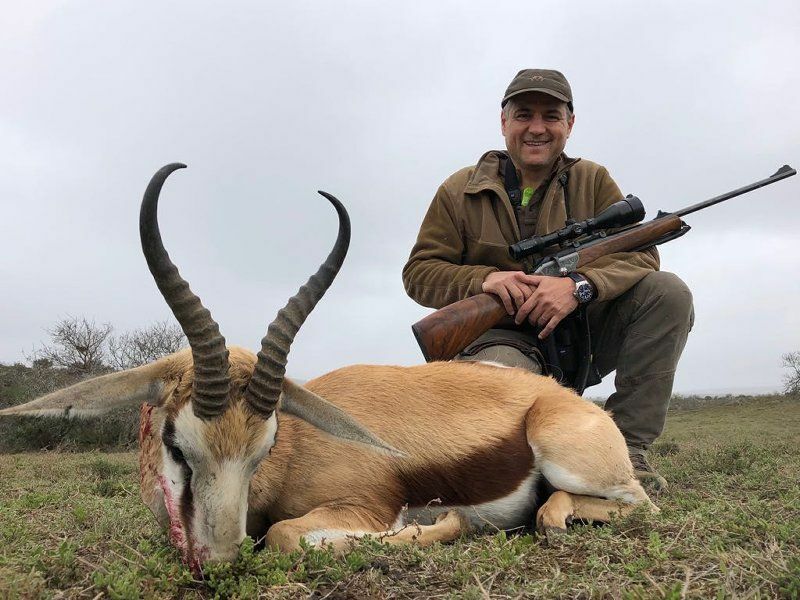 Relu shot this beautiful old impala ram. 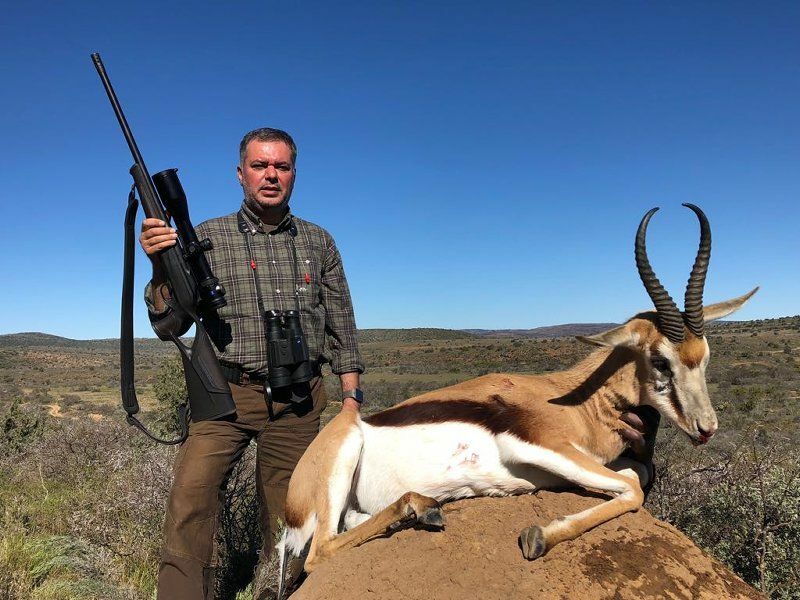 Not to be outdone - Florin also got this impala ram. Excellent trophies. The weather was playing havoc with us and it started raining again. 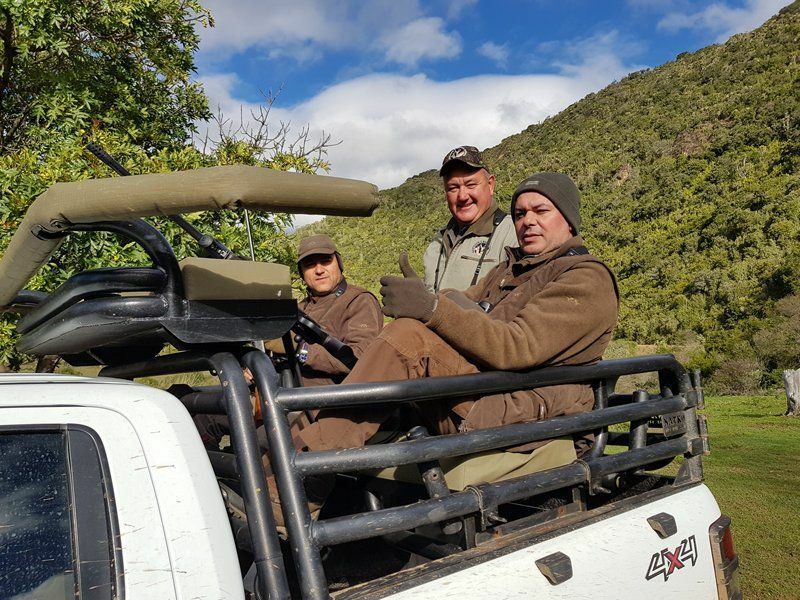 Myself and Lusu went looking for a kudu and Dale and his team were out looking for anything !! 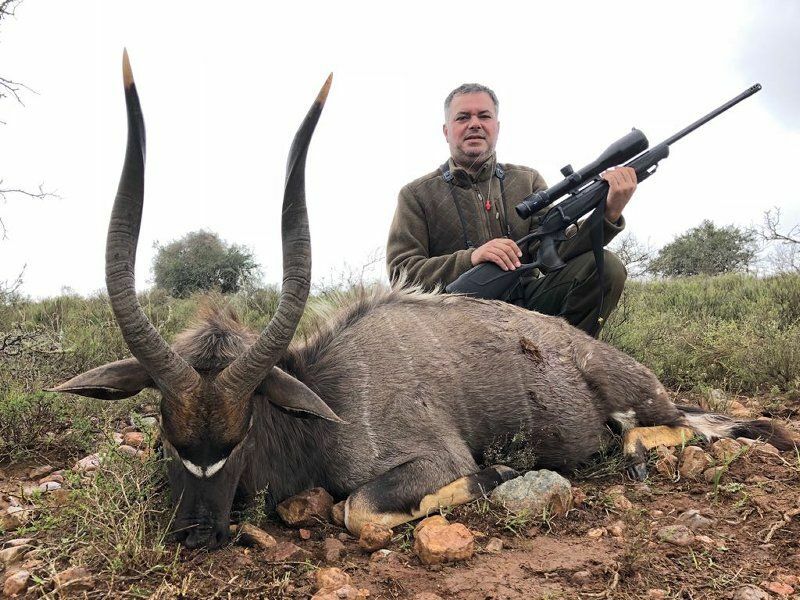 Florin with a magnifent Nyala - what a trophy !! 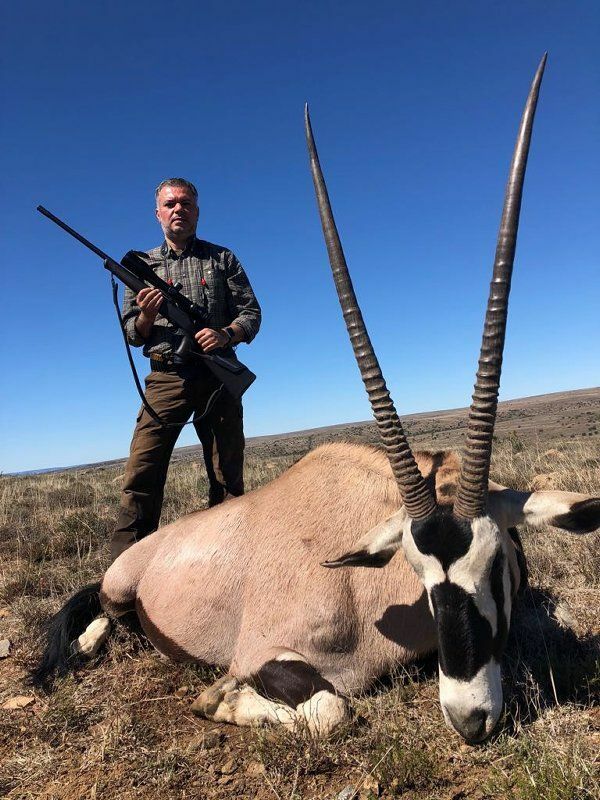 Springbuck are one of the most beautiful animals we have. Small targets and always on the run Here Relu is with a very good ram. 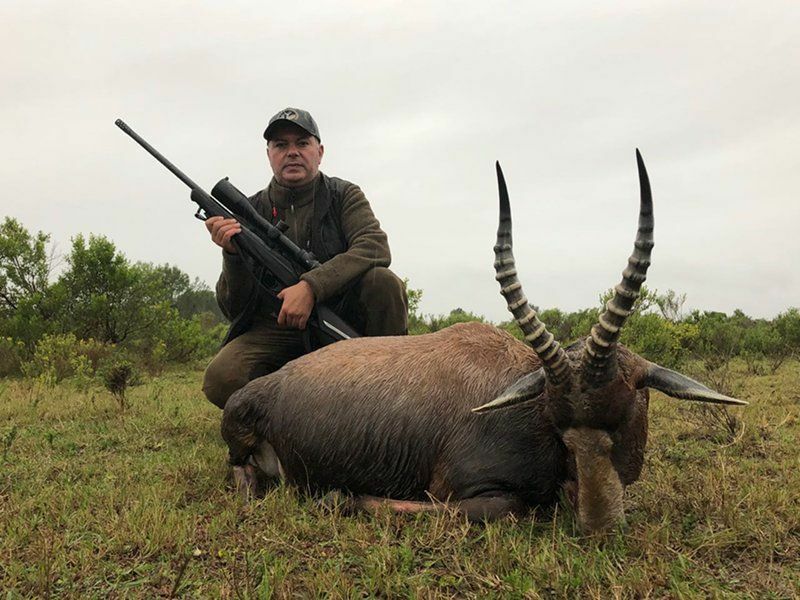 Myself and Lusu were struggling in the rain with the kudu. 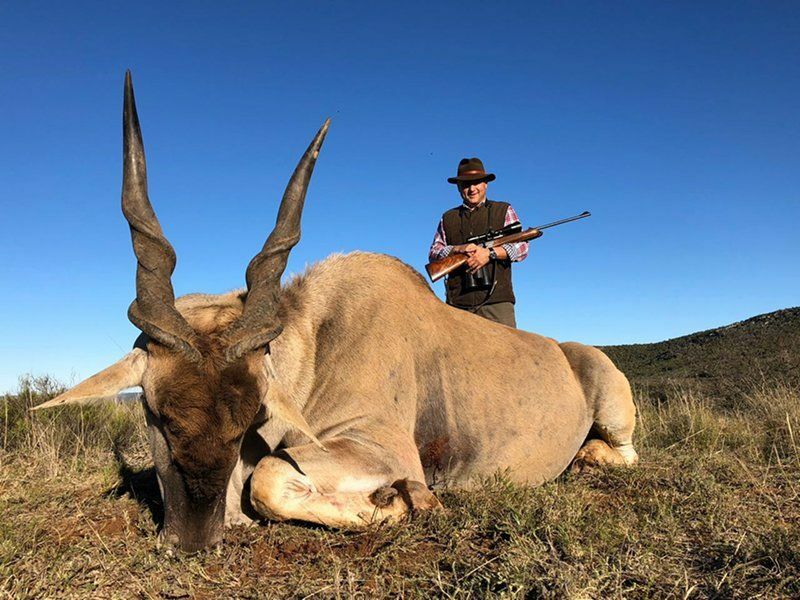 We sptted a big bull but after a few hours of waiting for him to move he had given us the slip. The Grey Ghost was one up on us for the day. The weather cleared the following day giving us some beautiful sunshine. Finally we could open the doors and enjoy the beautiful view .Breakfast looking out onto the river. The sun was out after so much rain - all the animals were out and about enjoying the good weather. 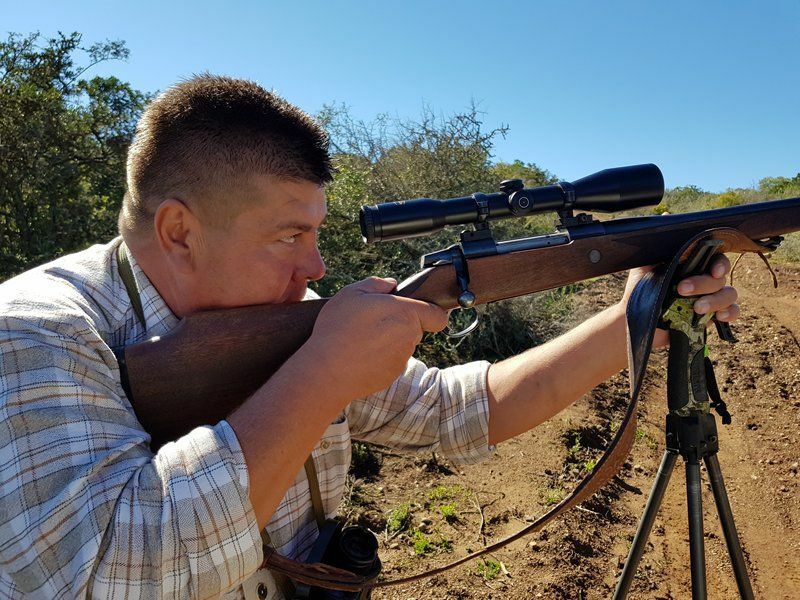 Myself and Lusu spotted another big kudu bull and we stayed on the shooting sticks for more than an hour while he stared at us. Not giving us a shot. It was starting to warm up quickly and he dissapeared into the thick bush. He had not been nervous and I suggested to Lusu that we would come back for him later or the next day. 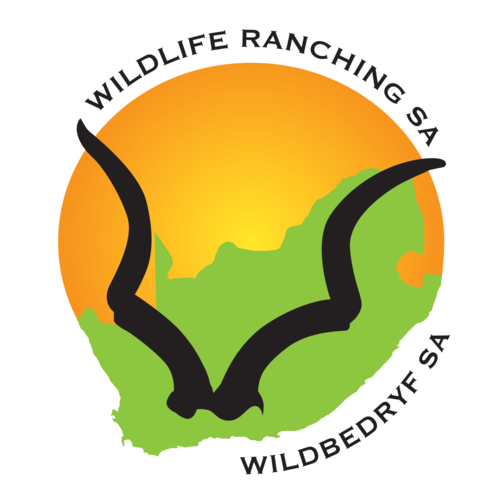 Kudu will stay in the area if not disturbed. 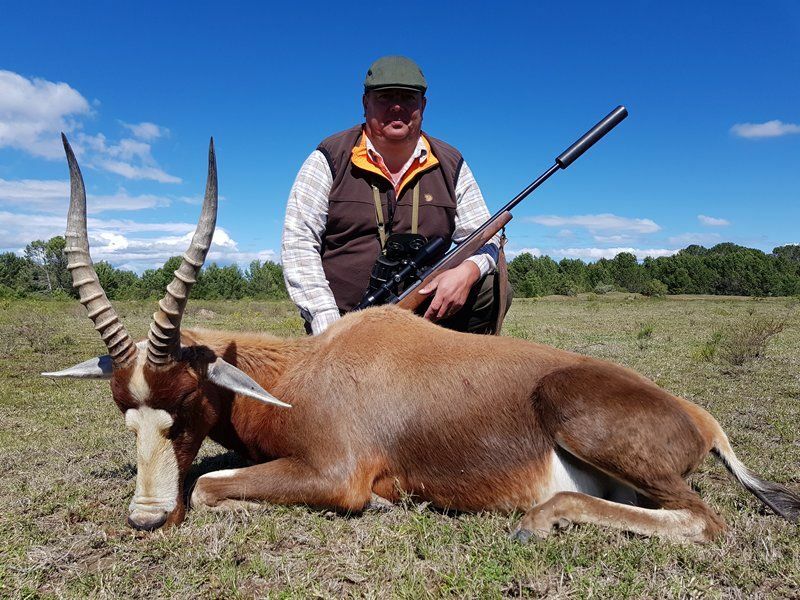 Florin with very nice gemsbuck bull and a springbuck ! Excellent day ! 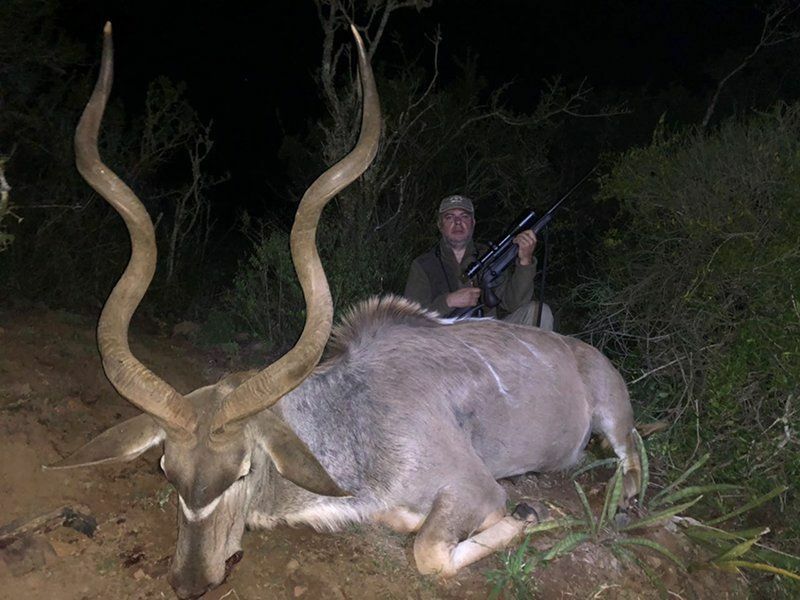 To round off this superb day - Relu took down this beast of an eland !! Relu better have plenty of wall space to hang this one up !! That afternoon myself and Lusu headed back for the kudu we had seen earlier that morning. We sat and waited and waited but nothing ! We decided to try another spot and on our way down the mountain we heard the familiar tap on the roof - there he was standing on the side of the hill. 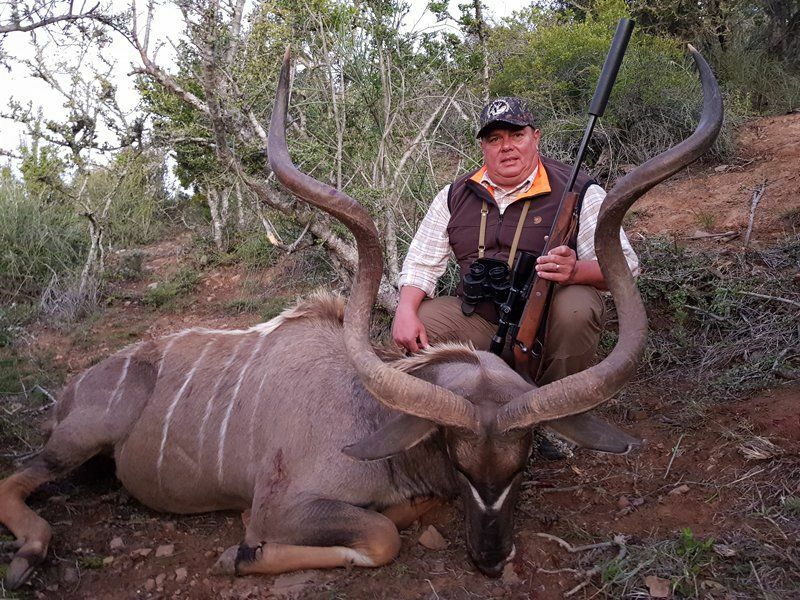 A magnificent trophy - Eastcape bull of a lifetime ! Well done Lusu - a fine shot on the shoulder. 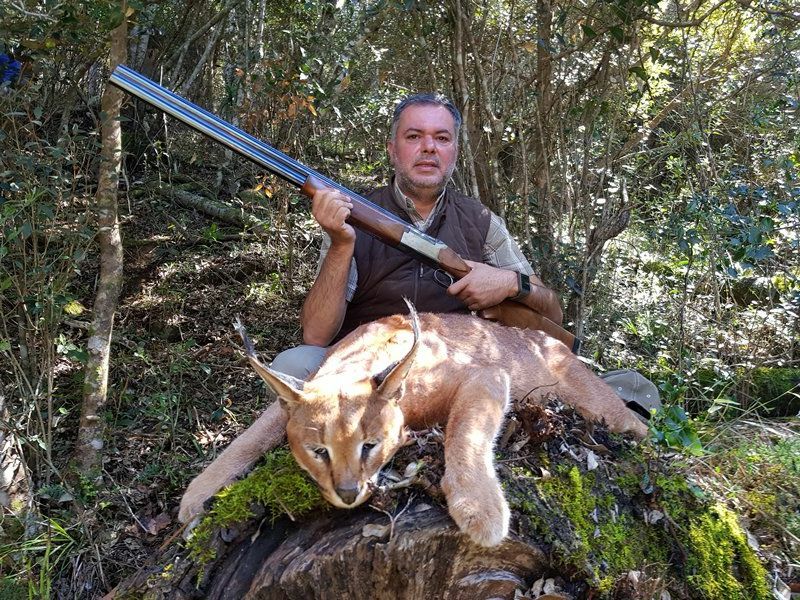 Florin had indicated he wanted a caracal. 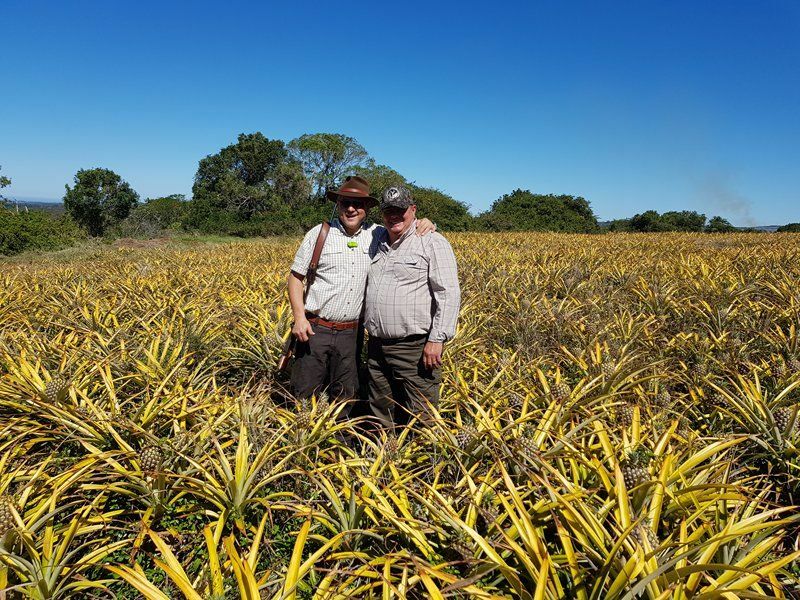 The surrounding bush in our area is one of the most densly populated in the country. 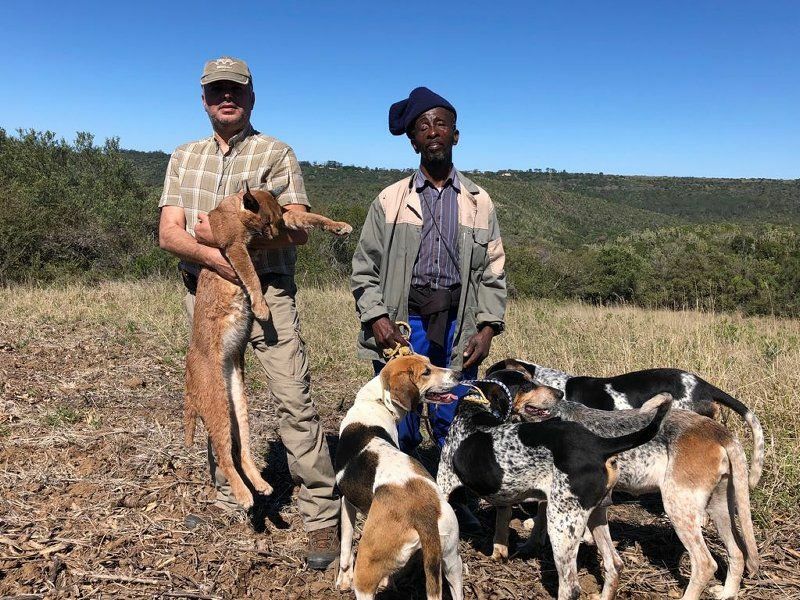 Hunting them with dogs is the only way and with 4 packs running our success rate is very good. We got the call from one of the dog handlers that the dogs were hot on some tracks and we jumped into the vehicles and headed down to the coast. Speeding along on bad roads we were soon there and got in to the action. Dogs barking and the cat was up the tree. 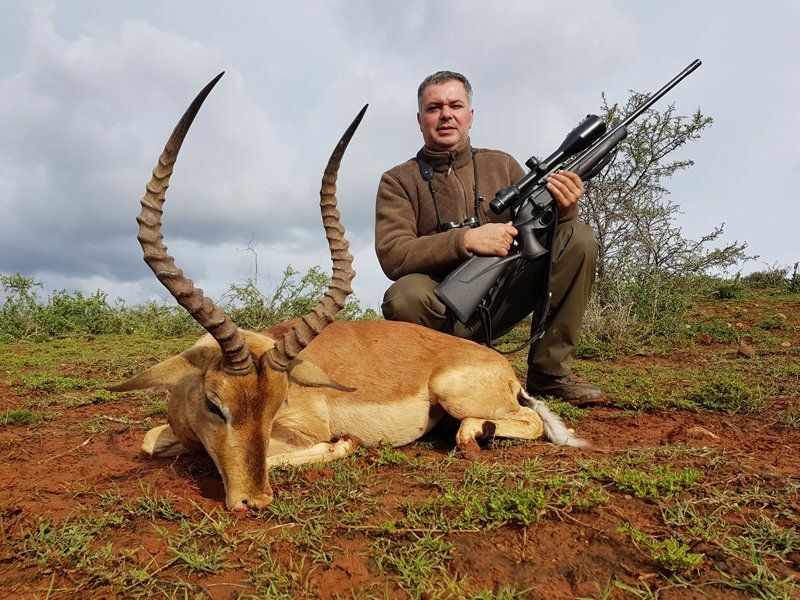 Florin made a perfect shot for another great trophy. A well earned lunch down on the river !! Last day left for Florin to get his kudu. Dale set up his team in a hideout for the afternoon hunt. 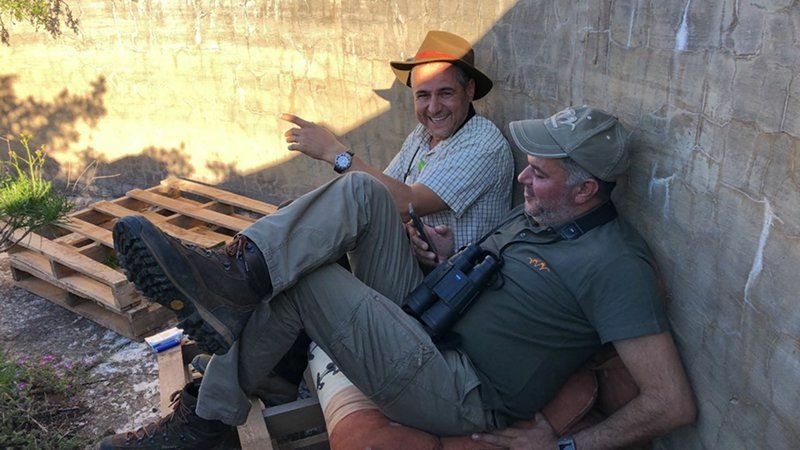 Here we see Relu and Florin relaxing while dale is scouting ! It was last light and Dale called me on the radio - he had seen 2 big bulls down on the Northern side of the property. A lot of excitement and we were all chasing the time. Florin was the first to have a go and he hit one of the bulls good and solid. The other bull stood still and hid in the bush and then all of a sudden stepped out and walked slowly away from us. 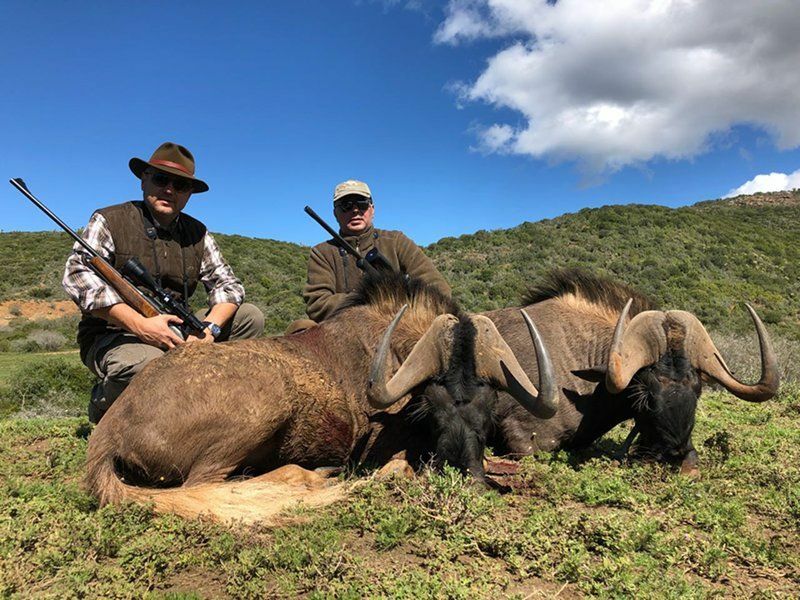 Another good shot behind the shoulder and the second bull went down. 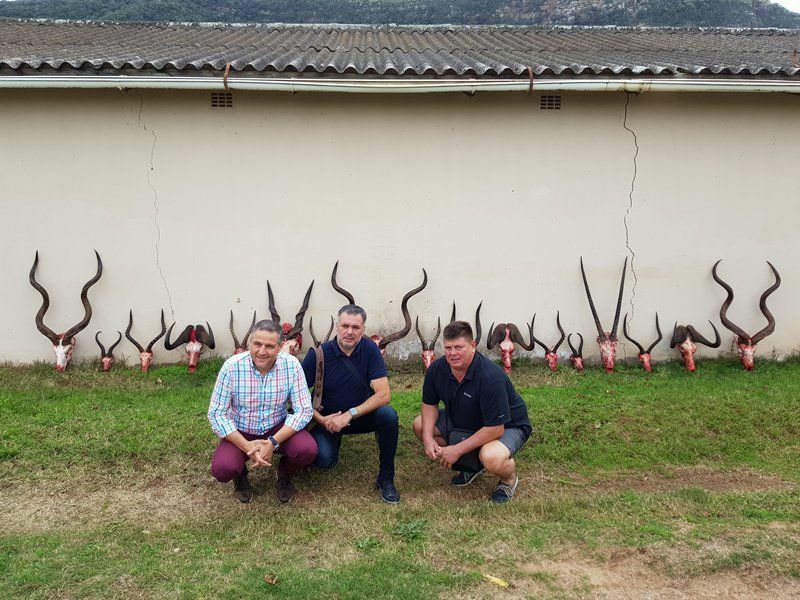 Two magnificent kudus bulls to round the safari off ! 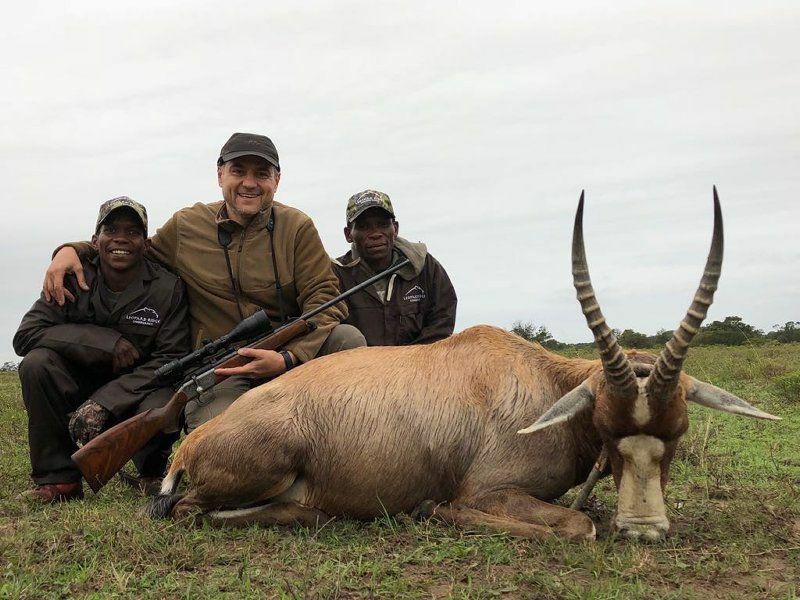 What a safari ! Taking some some truly amazing trophies and fun was had by all. The team celebrating on the last evening - good friends made ! 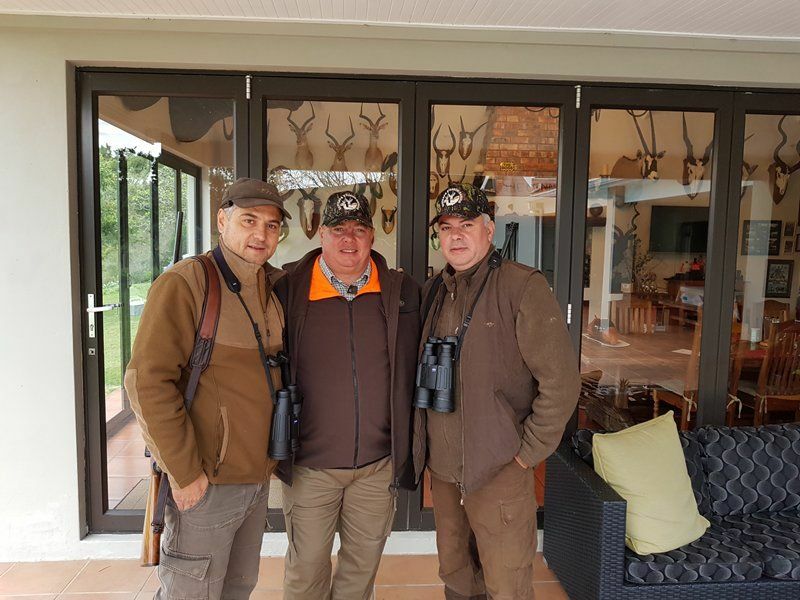 Thank you Relu, Florin and Lusu for hunting with Eastcape & Karoo Safaris - we hope to see you soon again.